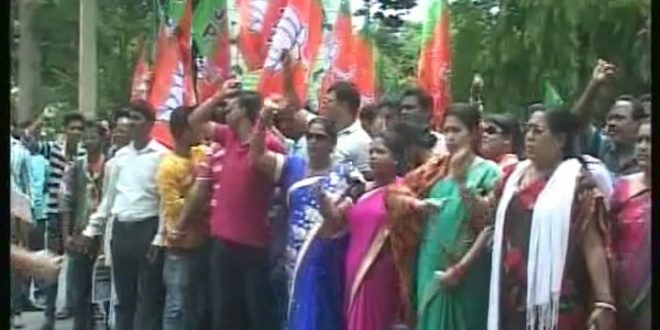 Bhubaneswar: The Odisha unit of Bharatiya Janata Party (BJP) on Wednesday said it will organise ‘Vijay Sankalp Abhiyan’ across the state to reach out the people, ahead of the ensuing general and assembly elections. The campaign will begin from March 10 and will continue till March 17, said BJP general secretary Prithviraj Harichandan. The party has decided that the BJP workers will reach out to the people through several rallies across Odisha to apprise the pro-people policies of the Modi-government at Centre and failure of BJD government in Odisha. Harichandan said Naveen Patnaik government has turned a blind eye to the plight of common man while Narendra Modi government at Centre is working to make the country third biggest economy of world. The Vijay Sankalp Abhiyan will begin with the slogan ‘19 years of misgovernance is enough, now time to change the state government, said Harichandan.